For a company that has their hands in every aspect of the motorcycle world, Icon has kept a diligent presence with quality gear. 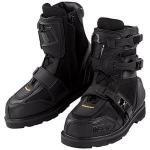 The company launched into the market in 2002 with the idea of fulfilling the need for street specific gear. 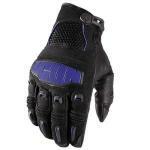 The original Icon product line was crafted by a small group of Thor Motocross employees as an after-hours project, and soon after launching their TiMax Glove (which gave them an instant presence and image in the street market) the company moved to Portland, Oregon, where they still continue to run today. One of Icon’s biggest achievements is producing the Field Armor vest, which has been called the single most important piece of gear designed, other than the full-face helmet, in the past 50 years. 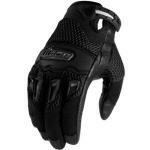 It has been used by street motorcyclists of all ages and reduced countless injuries. 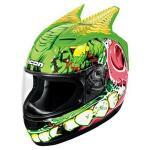 Icon’s current lineup of helmets include the Alliance full face (a good all around motorcycle helmet), the Variant (with aggressive design), and the Airframe. Each with their own designs that are stylish and will make you stand out of the crowd. All of Icon’s helmets also meet or exceed almost all world safety standards, including DOT FMVSS 218 (US), ECE 22-05 (Europe), SAI AS1698 (Australia), & SG (Japan) safety and testing standards. 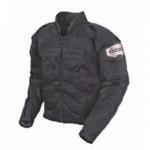 Some of their current jackets include the Overlord Prime men’s leather jacket, the Contra Redeemer men’s textile, the Hella woman’s leather jacket, and the Hooligan2 Stealth woman’s textile jacket, all of which are available in multiple colors. 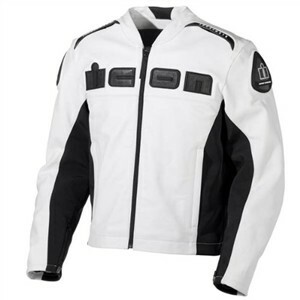 The leathers are made from 1.2-1.4mm premium grade leather chassis out of Brazilian cow hide, while the textile jackets all have heavyweight ballistic impact panels. 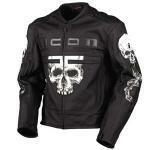 Icon also manufactures vests, pants, gloves, boots, waterproof gear, riding bags, and casual apparel. All of their products have the Icon-esque design to them, so no matter what, you’ve got a look that will get noticed. Cretin: (noun) a stupid, obtuse, or mentally defective person. 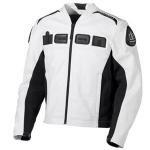 The Icon TiMax 2 textile jacket is a rider favorite for good reason. Interestingly, the titanium is not just a sales ploy (although it is certainly that, too). There is actually exterior titanium armor plating and titanium reinforced textile panels in critical areas. Personally, I'm not into the whole "fear and intimidation" aspect in a lot of today's motorcycling gear. I have never donned flames, bones, or skulls. However, I am a realist, and I know this is a marketable aspect of our sport.